The first thing you might notice after unboxing, is the new remote control which is included with the 4th generation Apple TV. The new remote control has a nice touch surface like the one you know from your touch pad. 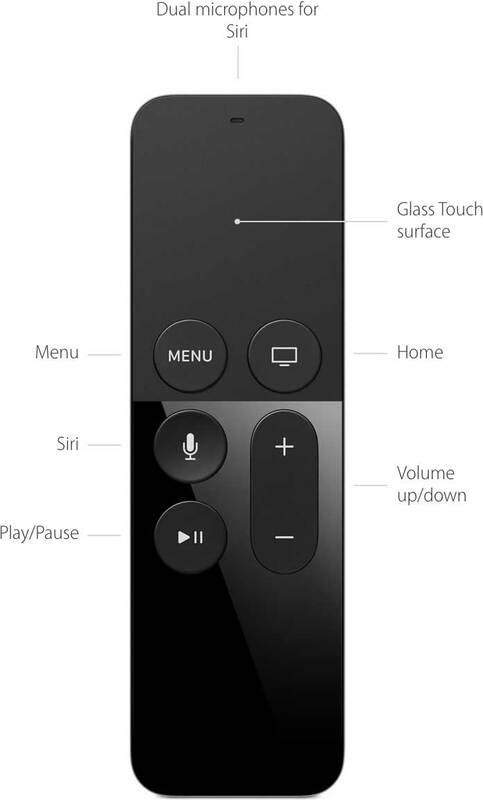 In addition to the touch surface, the new remote includes dual microphones for Siri, an accelerometer and gyroscope as well. Apple is also opening their platform for 3rd party controllers, but I’m not sure which controllers will be supported in the feature. Apple decided to open their platform for developers and added a new App Store to the Apple TV home screen. Now you’re able to enjoy 3rd-party apps and content as well. 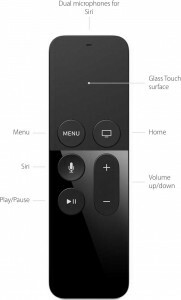 Since Apple is including Siri into all of their devices, the arrival of Siri on the Apple TV is not a big surprise. However it’s currently limited to 8 countries (Australia, Canada, France, Germany, Japan, Spain, the UK and US), so we still need to wait for it’s availability in Switzerland. The new Apple TV is now starting at ~ CHF 169 (USD 149) for the 32 GB, while it’s predecessor started at ~ CHF 79 (USD 69). So unfortunately quite a higher price tag for the new version. More about the changes are available on Apple’s Compare page. There’s not much to say about the hardware. It’s a shiny 98 x 98 x 35mm black box which weights 425g. 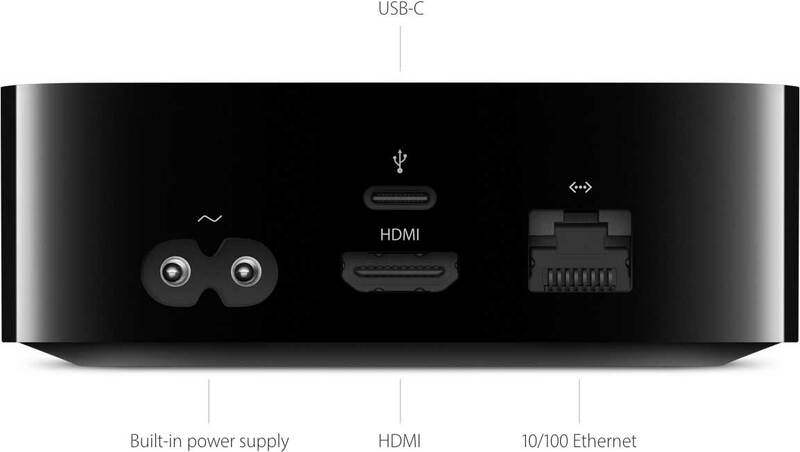 There are 4 connectors on the rear side, 1 power, 1 Ethernet, 1 HDMI and 1 USB-C connector. To be honest, I don’t know the purpose of the USB-C connector, but I think it’s there for additional controllers or any other peripherals. I’m not a huge fan of small remote controls, especially when you’ve to browse through complex GUIs and search for things. But with the new Siri Remote Apple did a really awesome job. The handling of the new remote feels much more natural, especially if you’re browsing through content or searching for the right spot in your movie, e.g while rewinding. Furthermore you’re no longer bound to direct sight, because the remote connects via Bluetooth instead of IR. In case you’re using multiple Apple TV’s in your home you’ve to pair each remote to an Apple TV. Like the name already says it, we’re talking about a Siri-based remote. Unfortunately Siri is currently no available in Switzerland, so when you push on the Siri (microphone) button you’ll only see a search box (blame on you Apple). However if you’re in a Siri-enabled country, you can do pretty neat search queries like “Siri show me a thriller with Idris Elba“. Apple sets everything on apps and they believe apps are the future of television, and it all makes sense. I think we’re looking forward to a future of app-based TV experiences. The nice things about apps are that you’re not bound to a specific hardware vendor. Today there is Apple and Google sharing the market, but this might change in the future – which is a good thing, because competition is nice! There are already a bunch of Apps available in the App Store and most of them are used to watch videos. However there are already some tools and games available as well. Most of the video apps are well known, for example Youtube, Vimeo, Netflix, TED, arte, Plex and Teleboy. I’m really impressed by the new Apple TV and I’ve already ordered 4 boxes for my personal home and our office TV. The handling of the remote feels very natural and there are really awesome apps available. The new Apple TV will replace all my existing Raspberry Pi/Kodi boxes and I’ll even shutdown my dreamboxes. There are great apps out there which meet all of my requirements. To skip the most obvious apps like Youtube and Vimeo, I really love Arte and TED for watching documentaries and educating stuff. Because I’m a TV series junkie I also use Netflix and the new arrived Plex app. With Plex you can stream your own content from the freely available Plex server. So you might end up with a private hosted and central Plex server and several Apple TVs with the Plex client app installed. It’s really neat, because everything is streamed and synced from your personal server, so you can start watching a TV show in your living room, pause it in the middle and continue watching it from the paused spot directly in your bedroom or even on your iPhone/Android device on the go. @domibarton Die kommen nun im 2 oder 3-Wochen-Rythmus. Als erstes der Aufnahmebereich, danach das TV-Programm. Though there is a drawback: I miss the compatibility for a hardware keyboard, because even the origin Apple bluetooth keyboard won’t connect to the Apple TV. Unfortunately the current iPhone Remote app which worked for all the old Apple TVs is also no longer compatible with the new version. So you’re bound to a slightly annoying software keyboard. 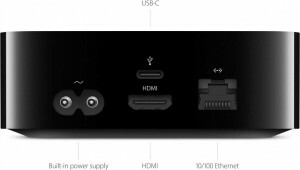 Of course there are alternatives to the Apple TV, for all the guys who doesn’t like Apple or just want to have a cheaper solution. If you want to build your own set-top box, just buy an Raspberry Pi and install a media center like Kodi on it. Google has also a really neat piece of hardware, which turns your TV into a multimedia center. Just have a look at Google’s Chromecast project.